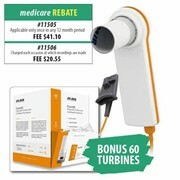 PC Based Spirometer - The latest in spirometry technology, combined with simplicity and cost effectiveness hold the Minispir as a standout at the leading edge of spirometry. 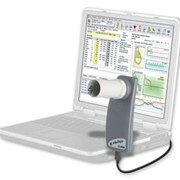 The MiniSpir spirometer is fast, accurate and simple to use. 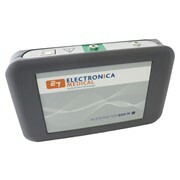 If you have ready access to a computer than this is the spirometer for you! The Minispir now has a newly designed laser pick-up, and is supported by the advanced analysis of powerful WinSpiroPRO software. 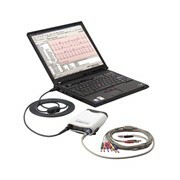 Interfaces with a computer via USB cable. * On line PC connection with simple to use icon-based interface. * Flow/Volume and Volume/time curve shown in real time on PC. * Bronchial challenge test with FEV1 dose-response curve. 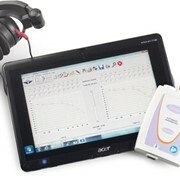 * Spirometry interpretation with test quality assurance. * Printout with complete spirometry report. * Data and graphs export also via e-mail. 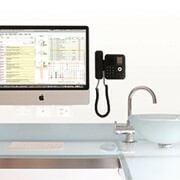 * Interfaces simply with a computer via USB cable. NB - this unit requires the use of a computer. 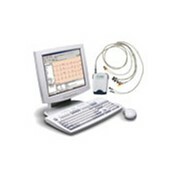 If you require that tests be conducted without a computer present then see our Spirobank or SpiroLab range. 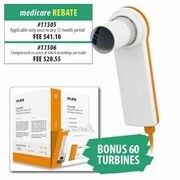 This is great value for money and our most popular spirometry option! 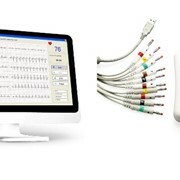 To view our complete range of advanced MIR spirometers, click here! 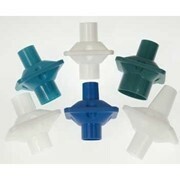 To view our spirometry accessories and disposables section, click here!